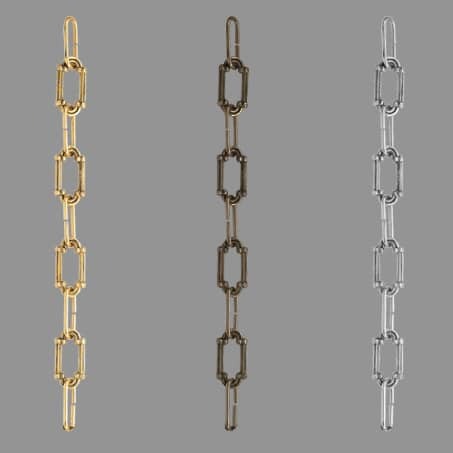 Lighting Chain Decorative C25 Brass. A large selection of different Styles in our Manchester Based Showroom Workshop. Sold in lengths of 565mm.